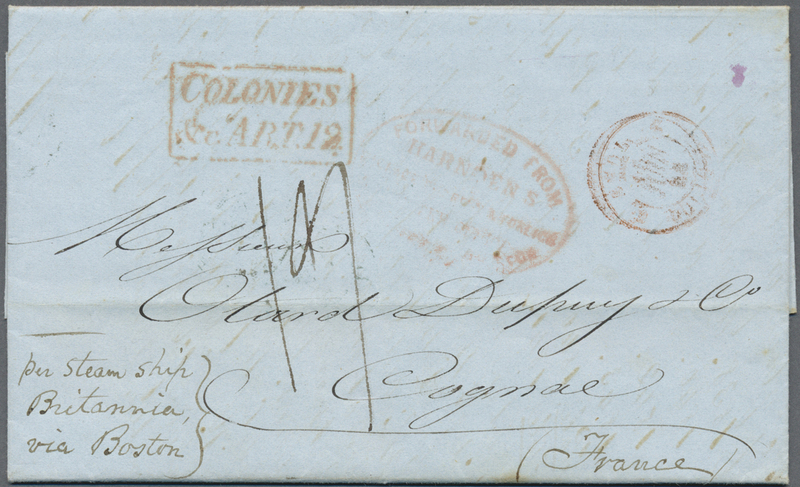 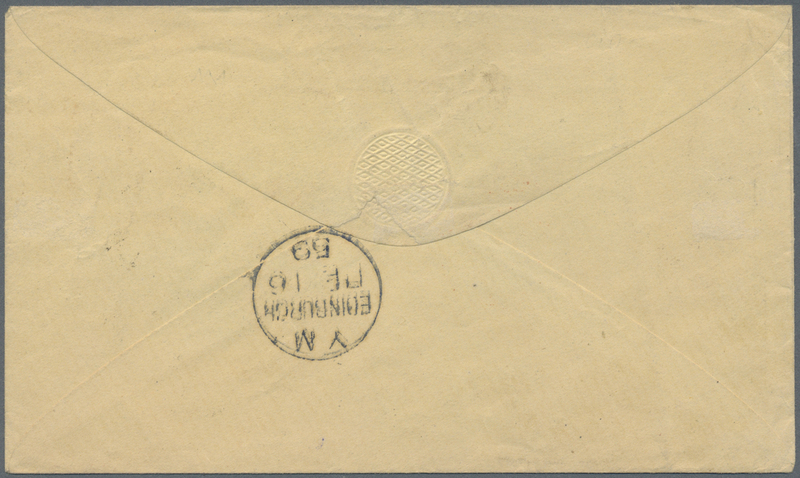 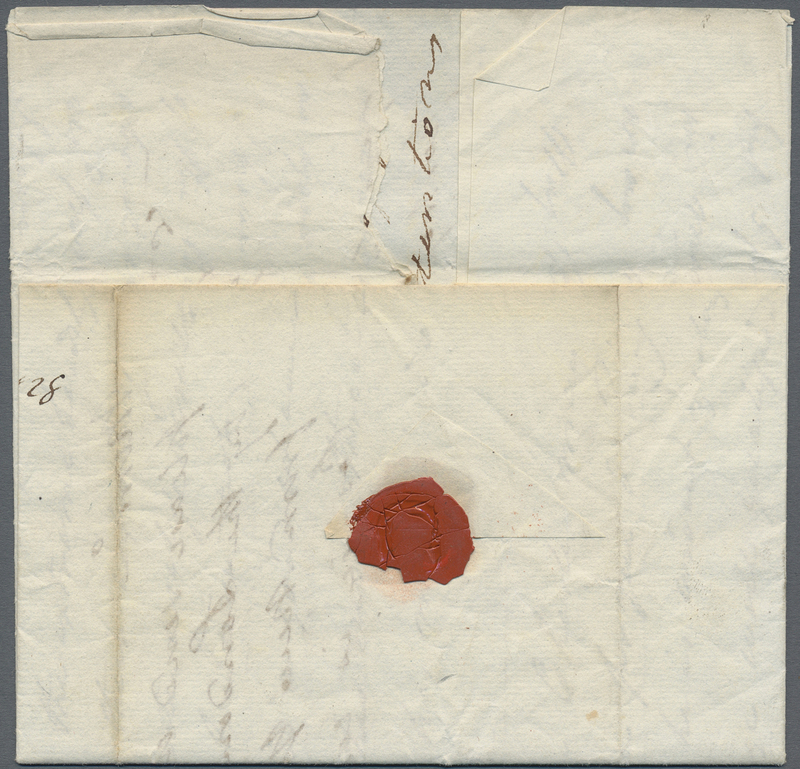 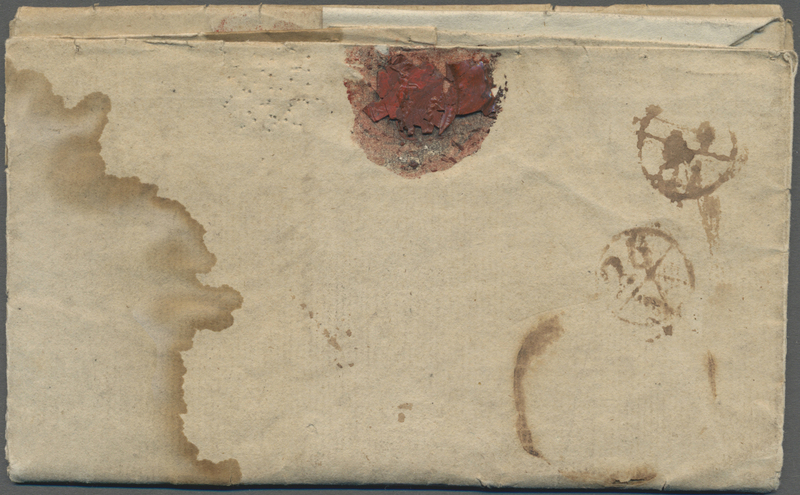 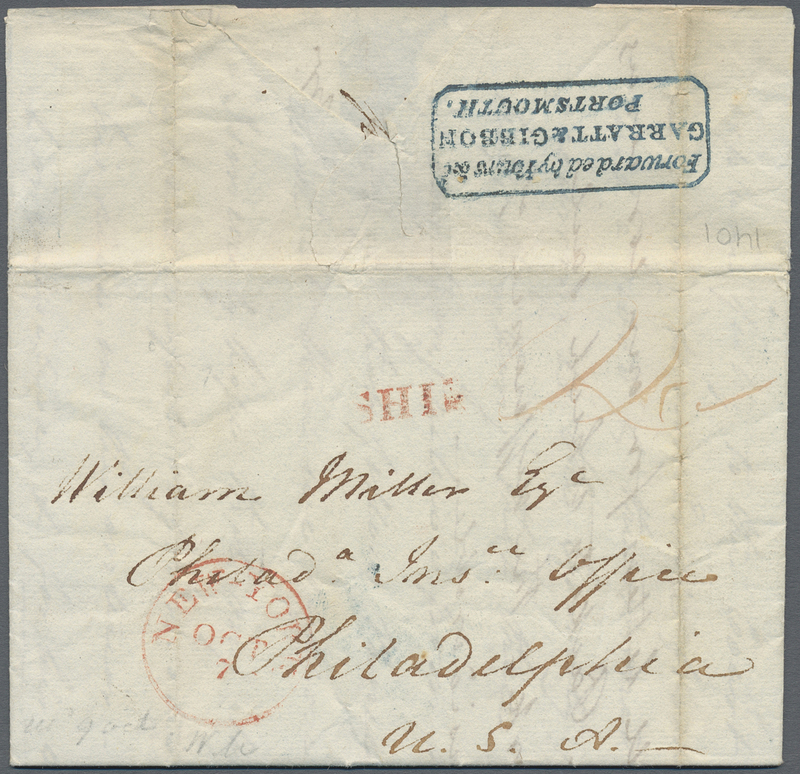 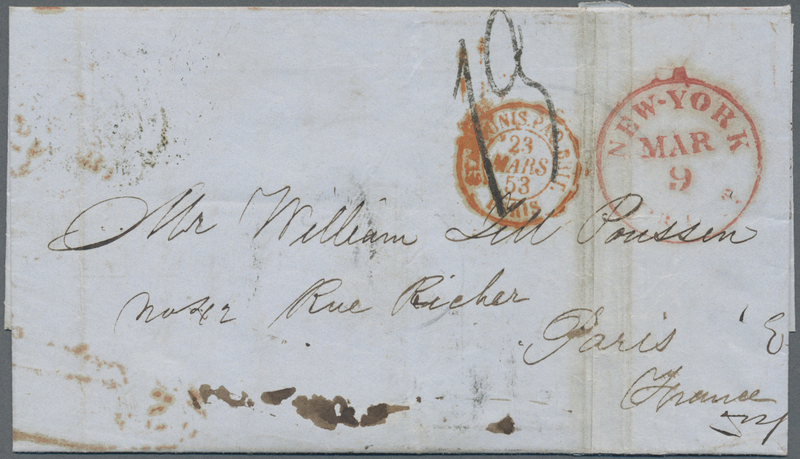 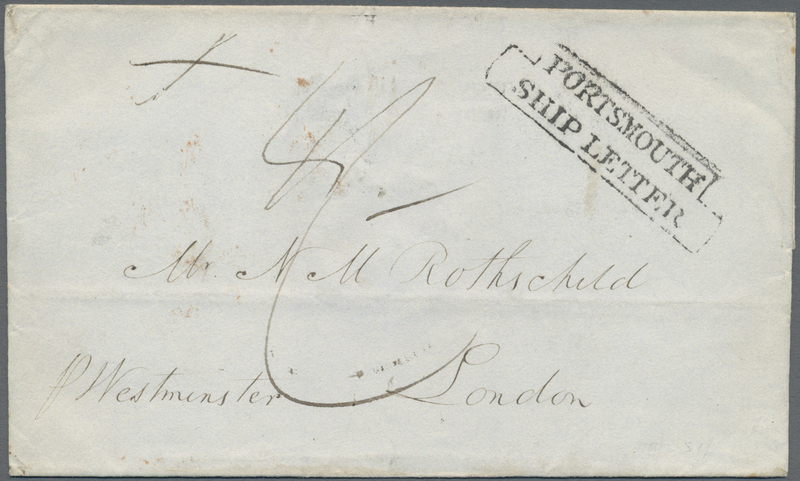 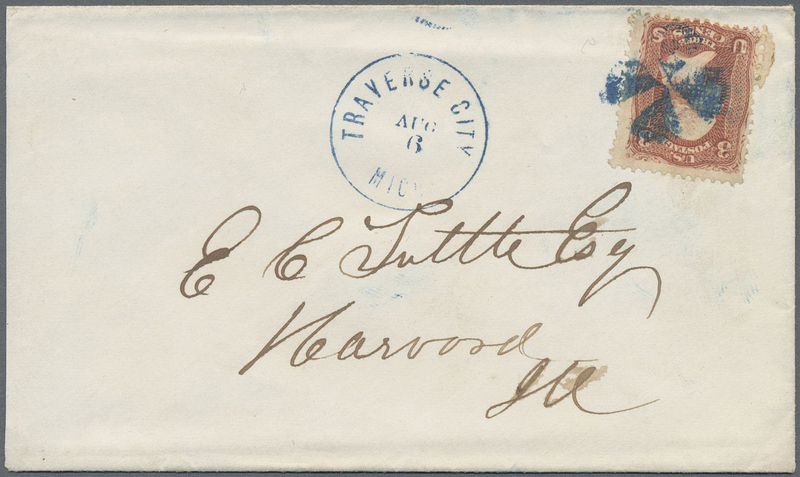 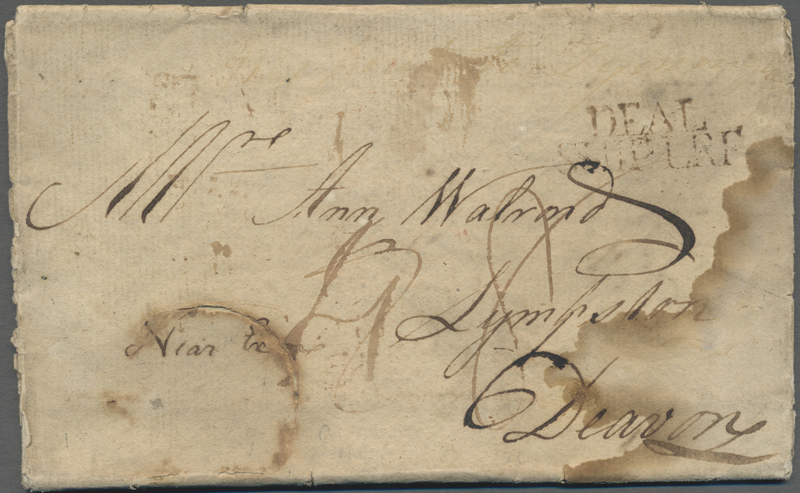 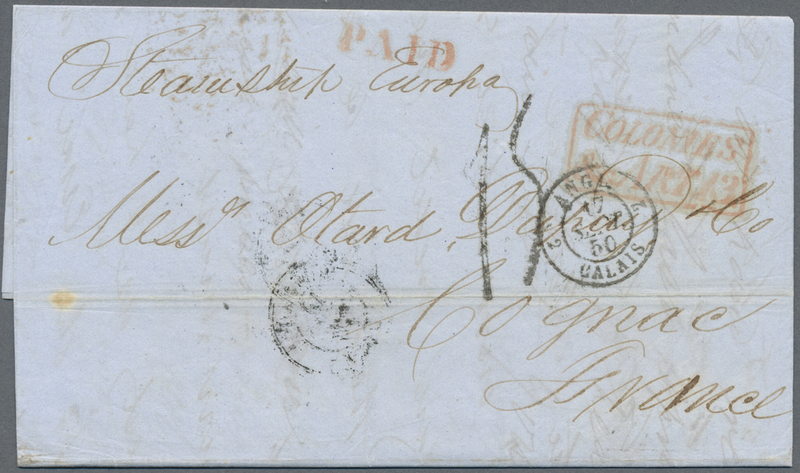 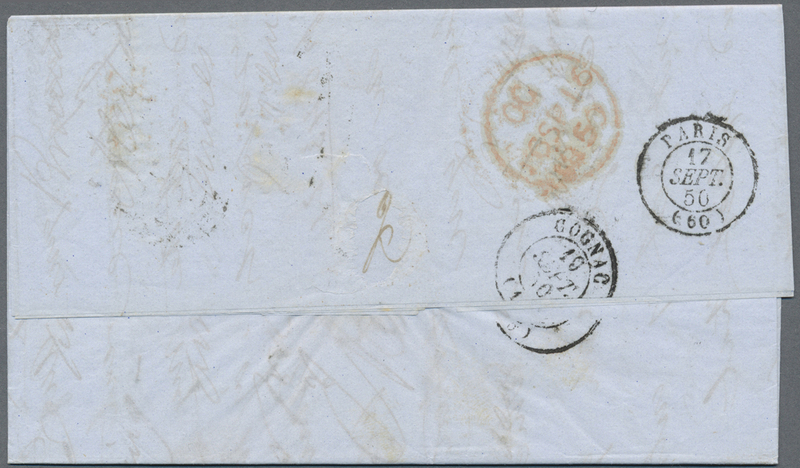 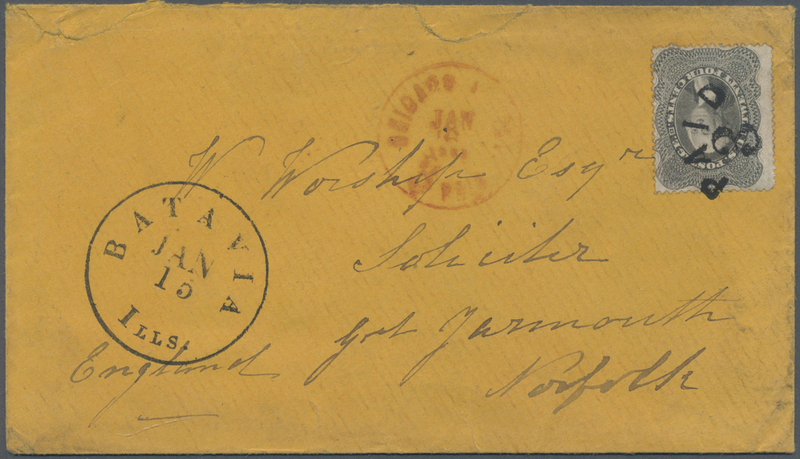 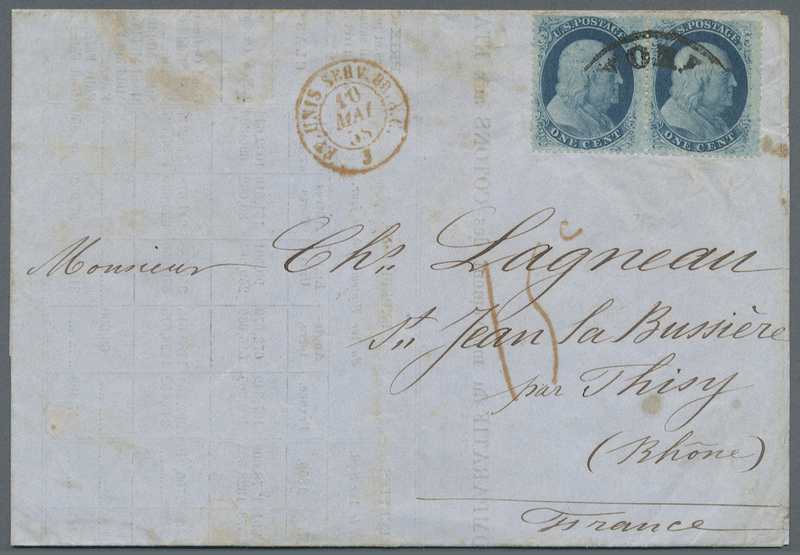 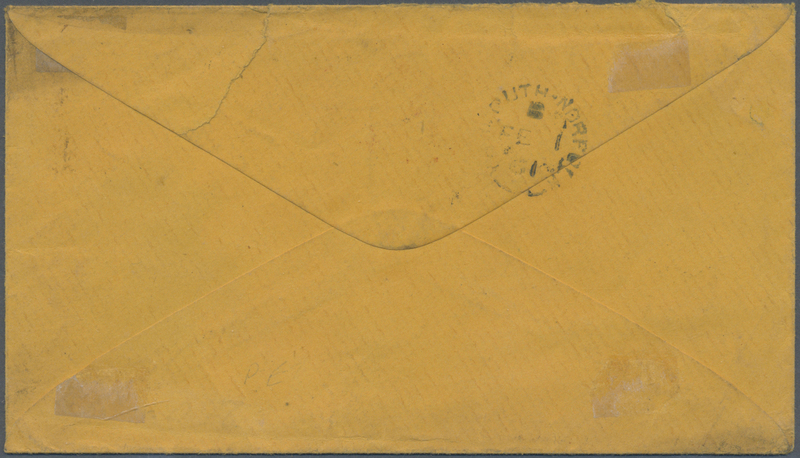 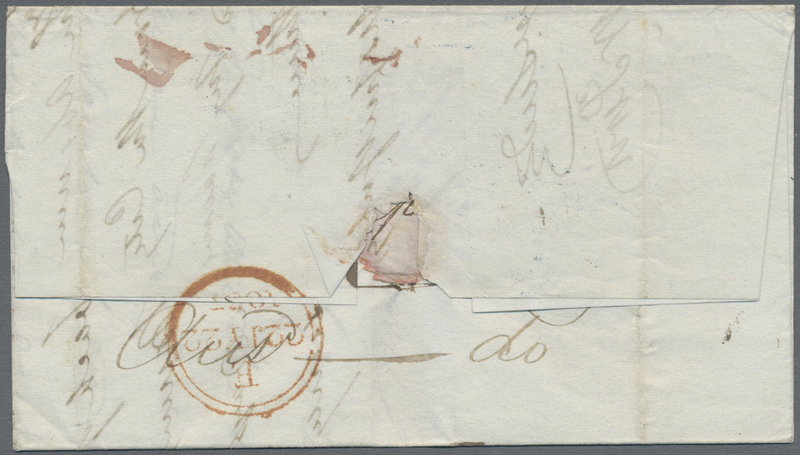 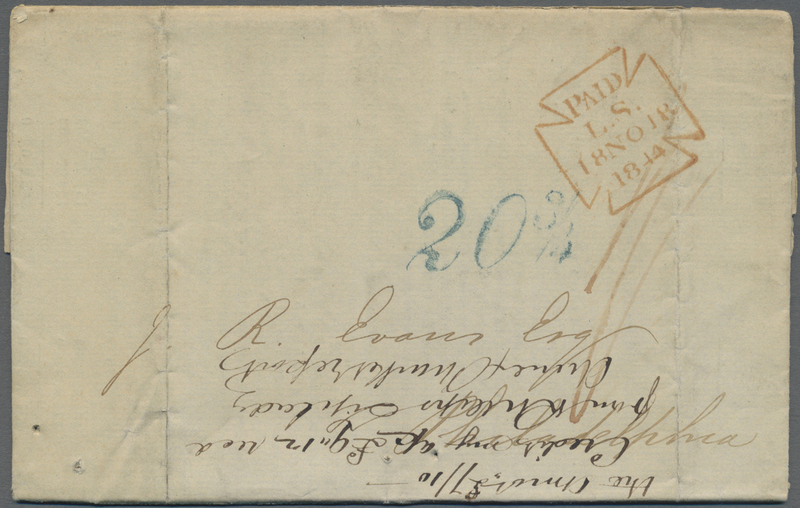 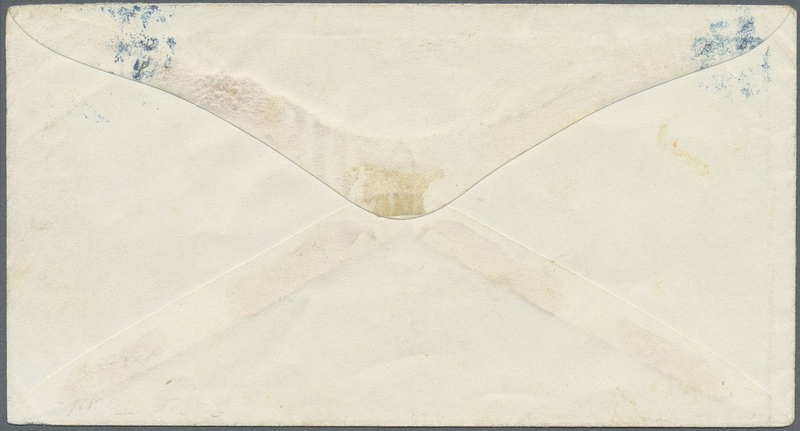 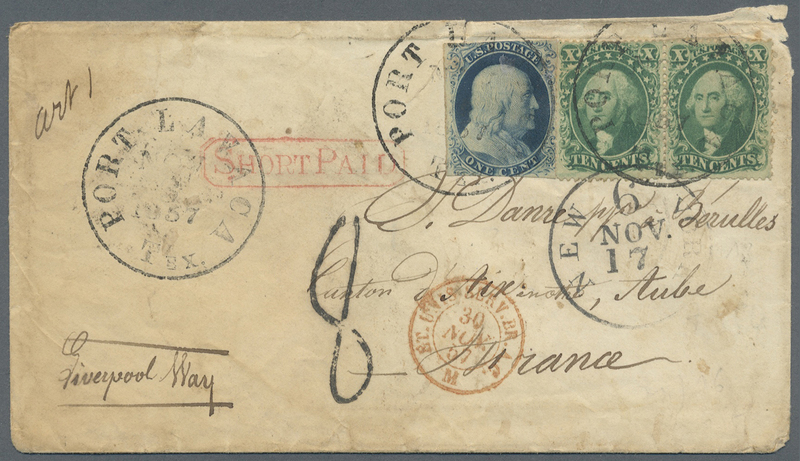 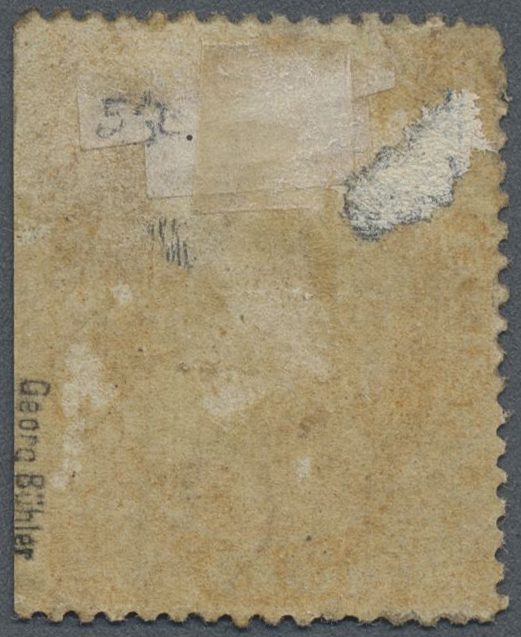 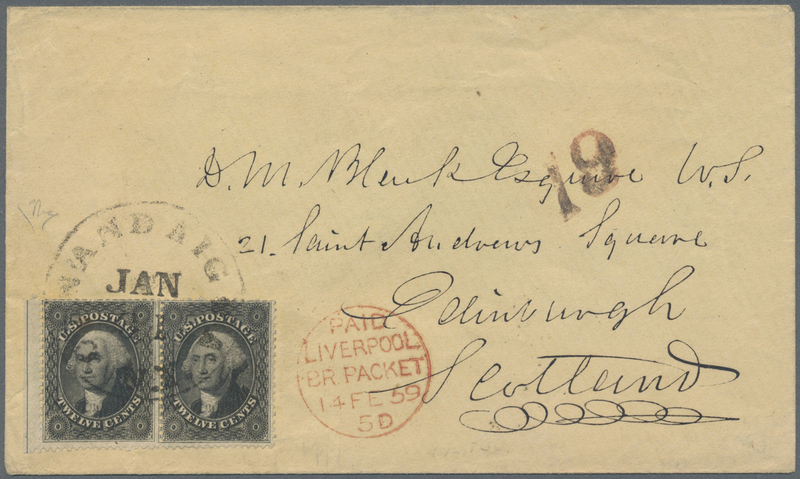 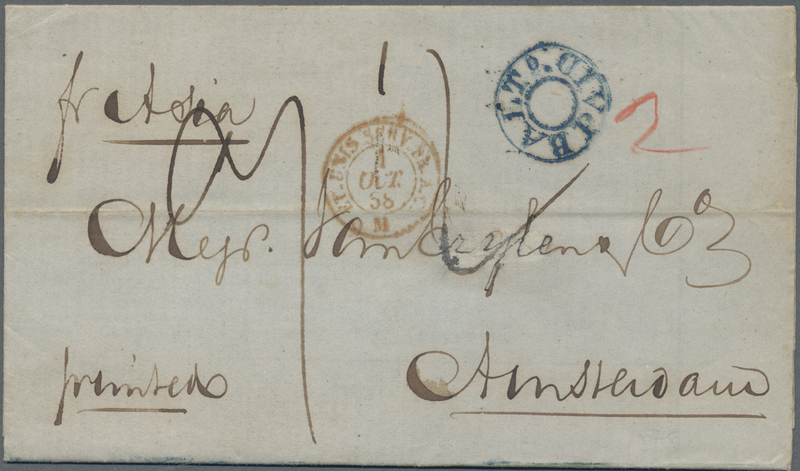 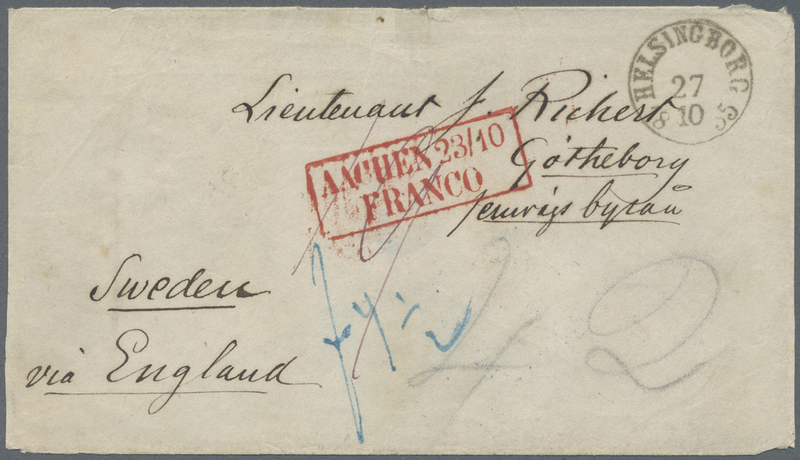 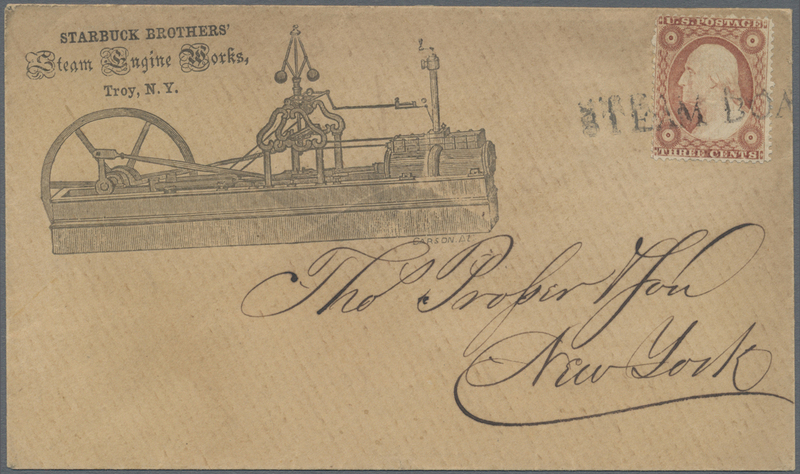 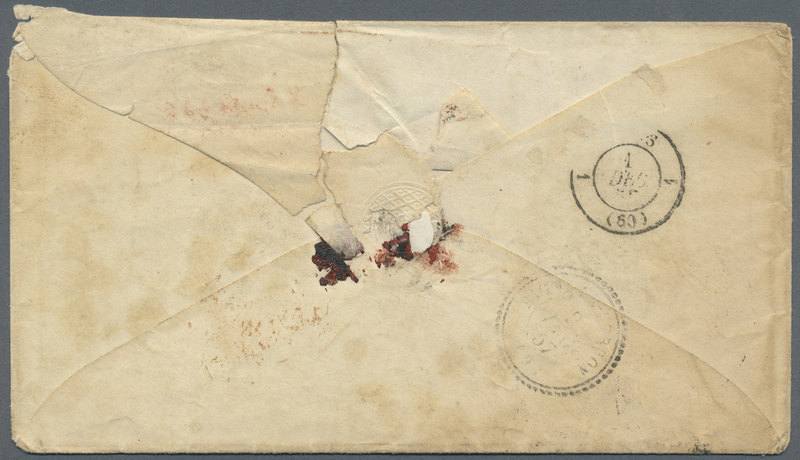 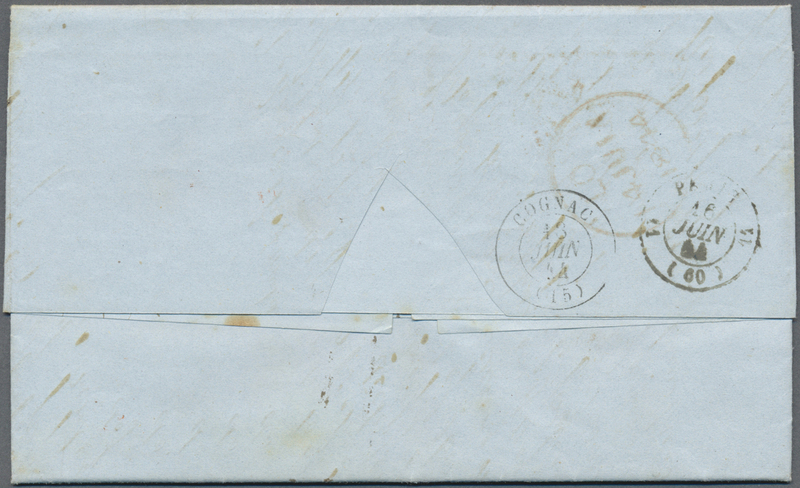 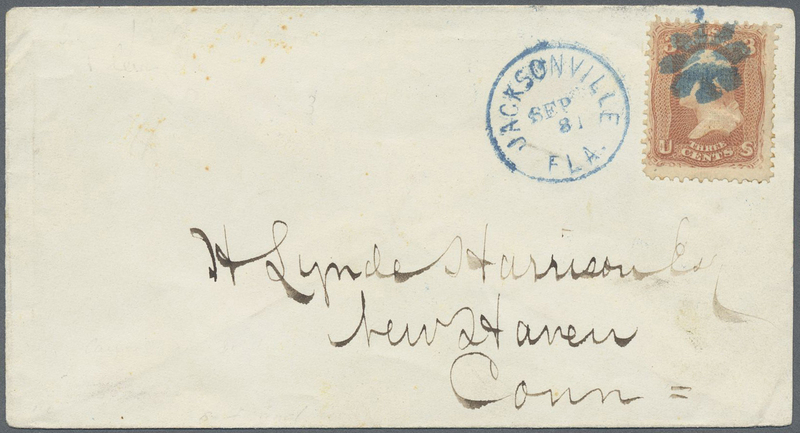 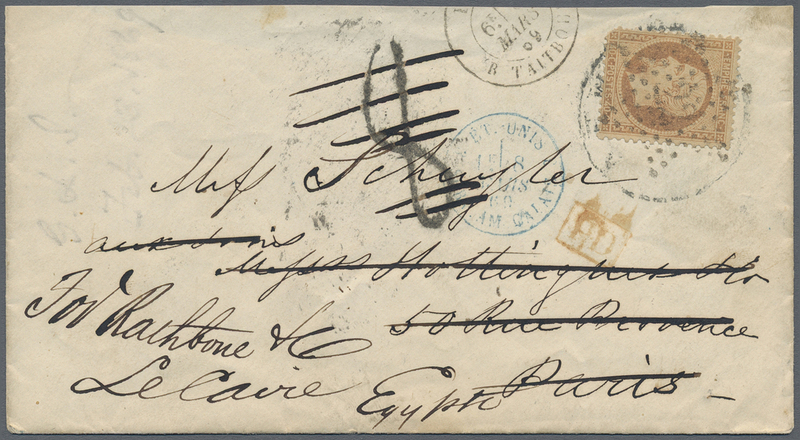 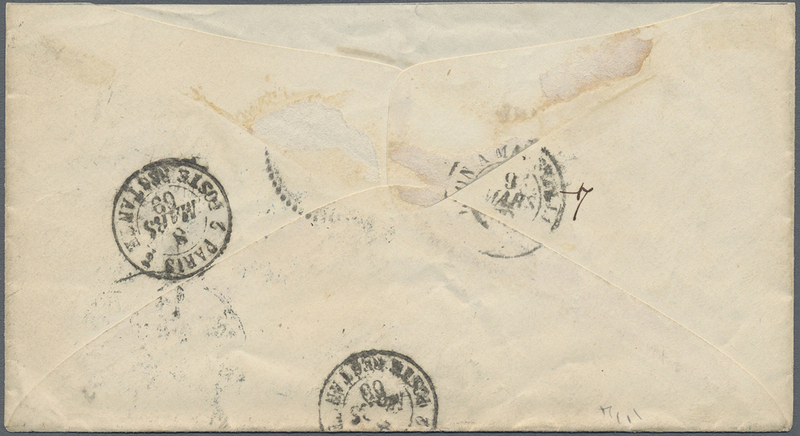 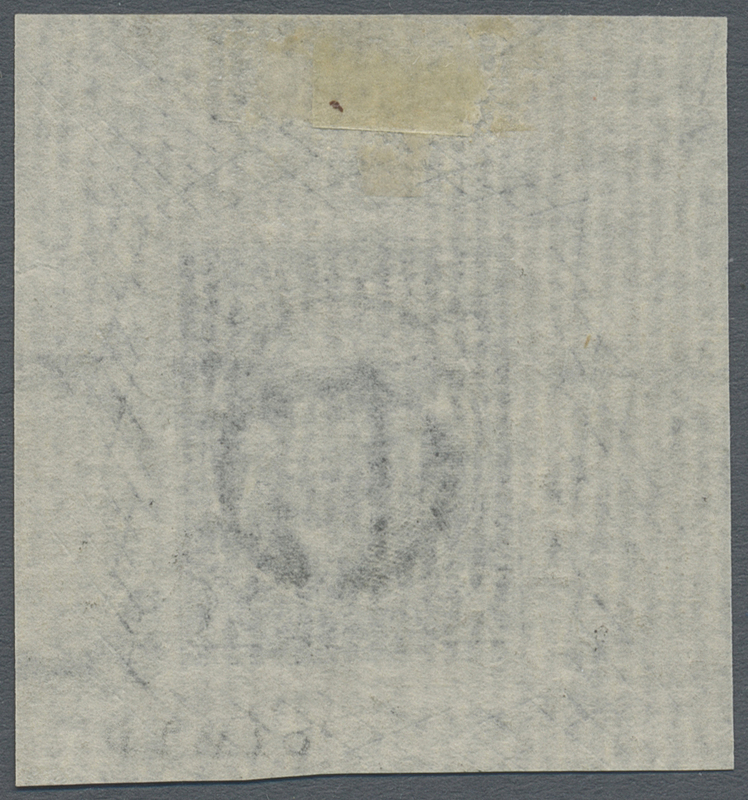 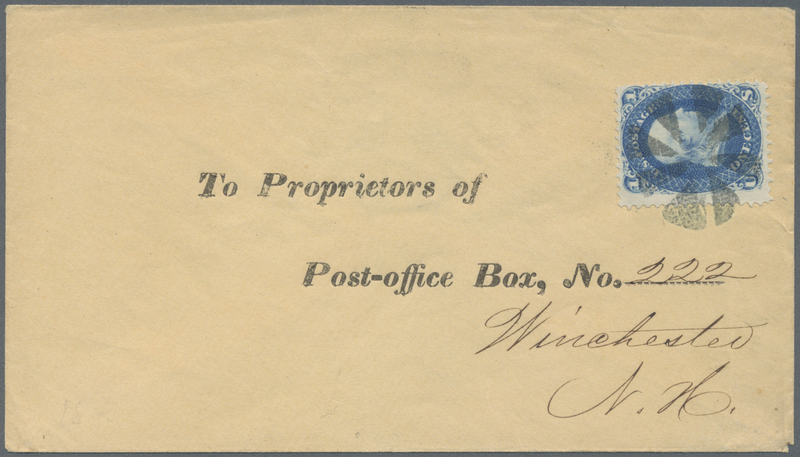 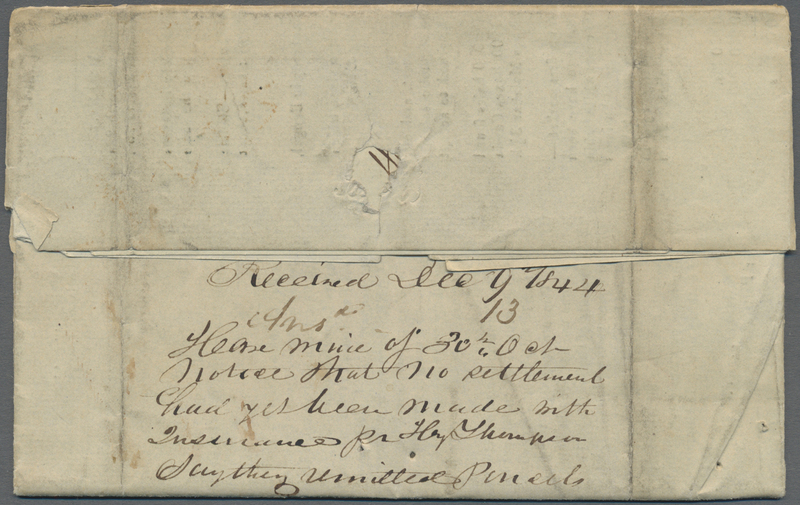 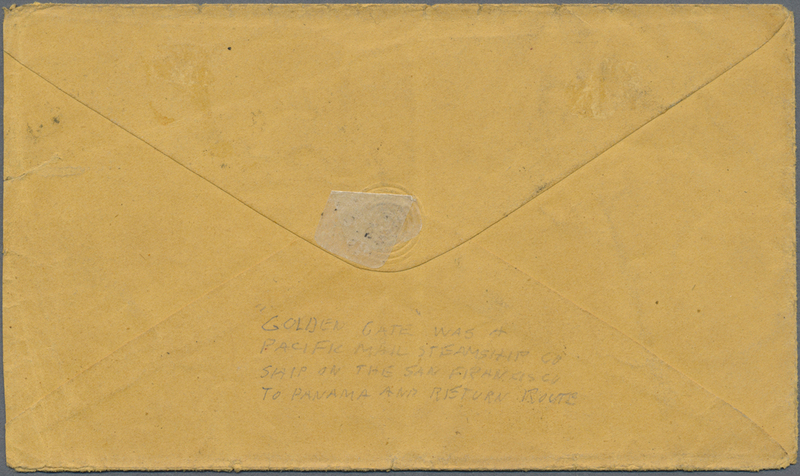 13013 Brief (cover) C13 1858, 10 C. green tied "SAN FRANCISCO AUG 17 58" to small envelope endorsed "Golden Gate" to Boston. 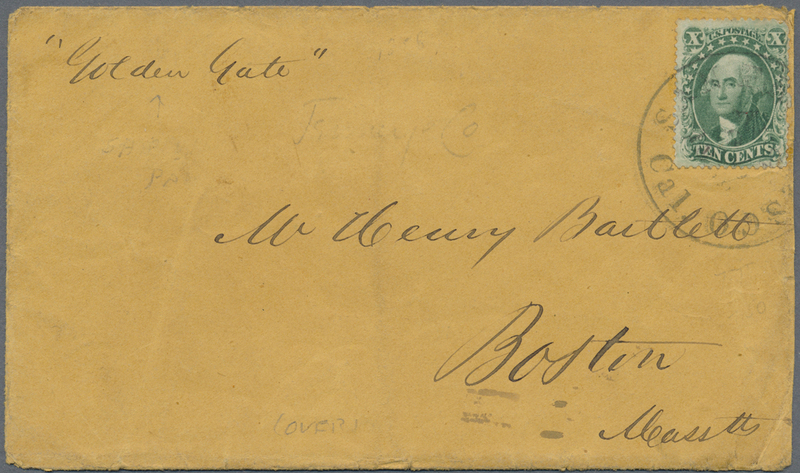 The "Golden Gate" was wheeler of the PMSS. 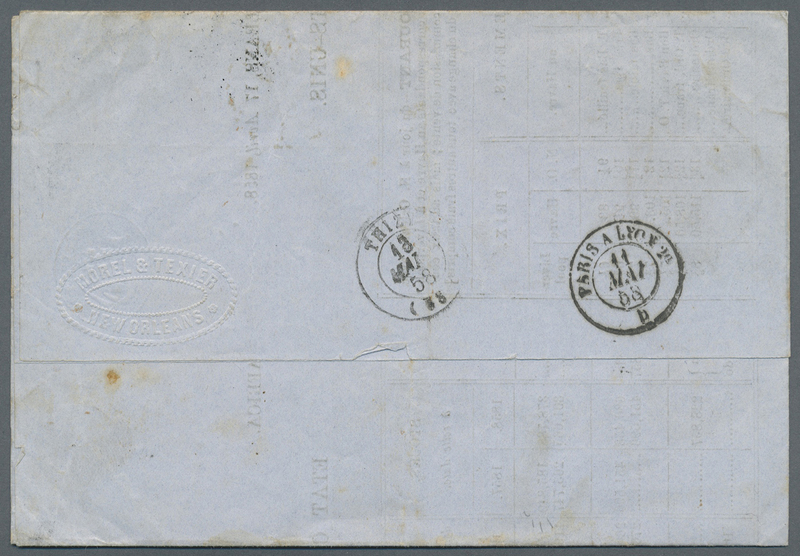 co. operating 1851/62. 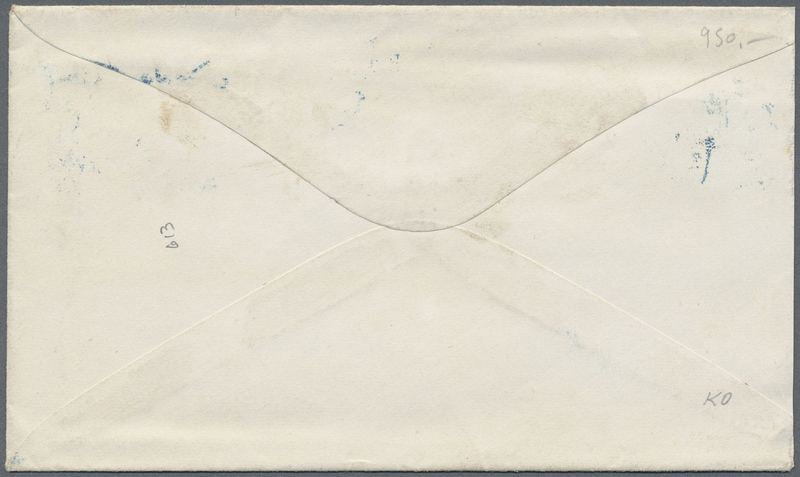 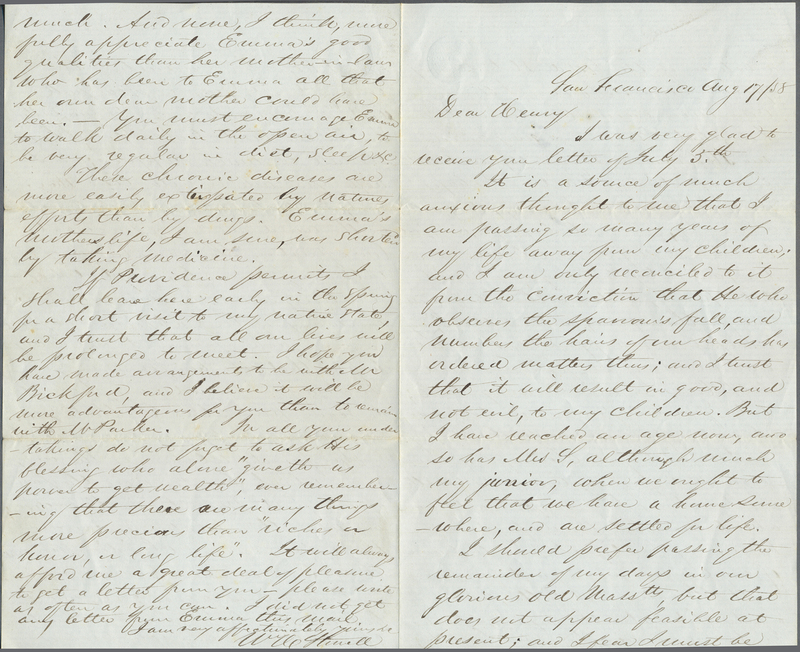 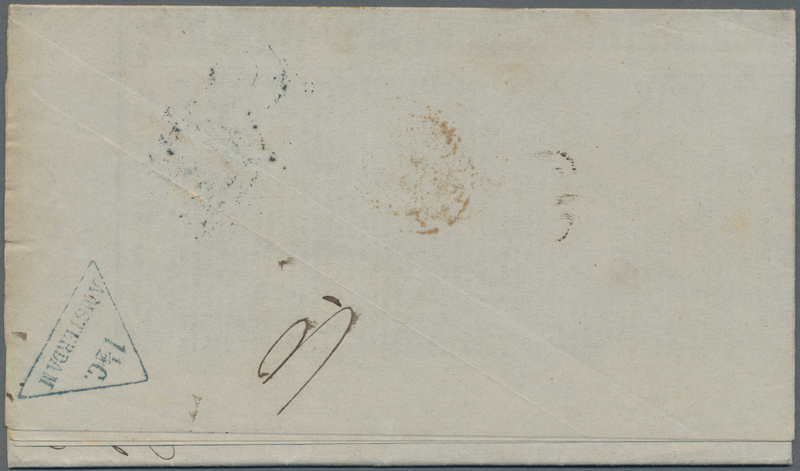 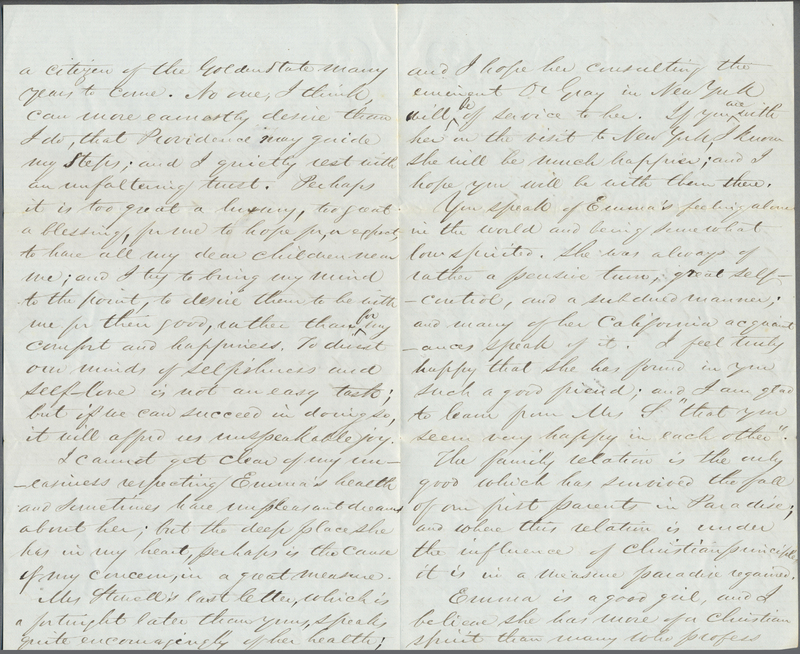 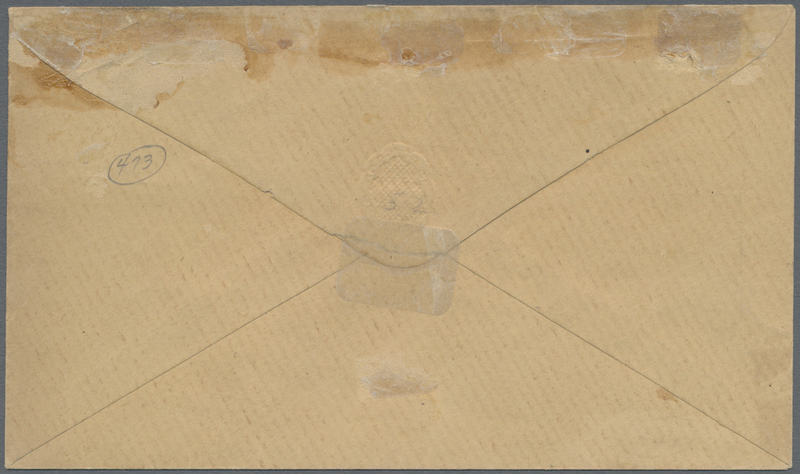 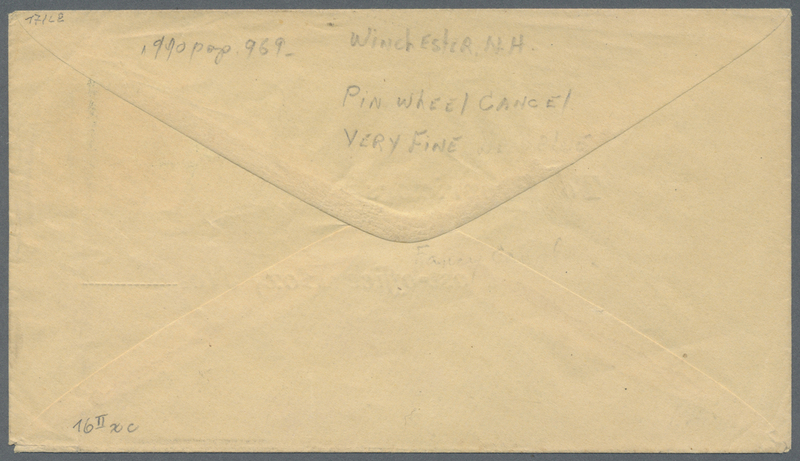 Two-paged letter still included. 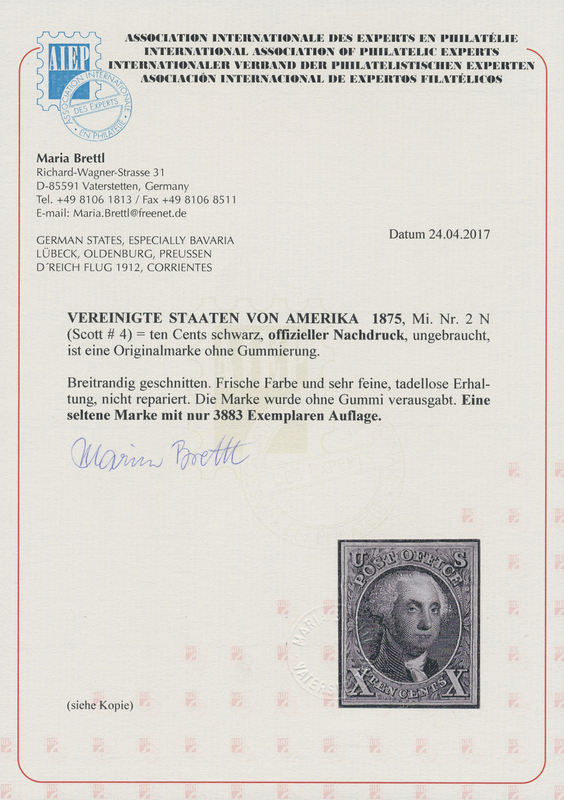 13022 gestempelt (marked) ungebraucht (hinged) * Sc. 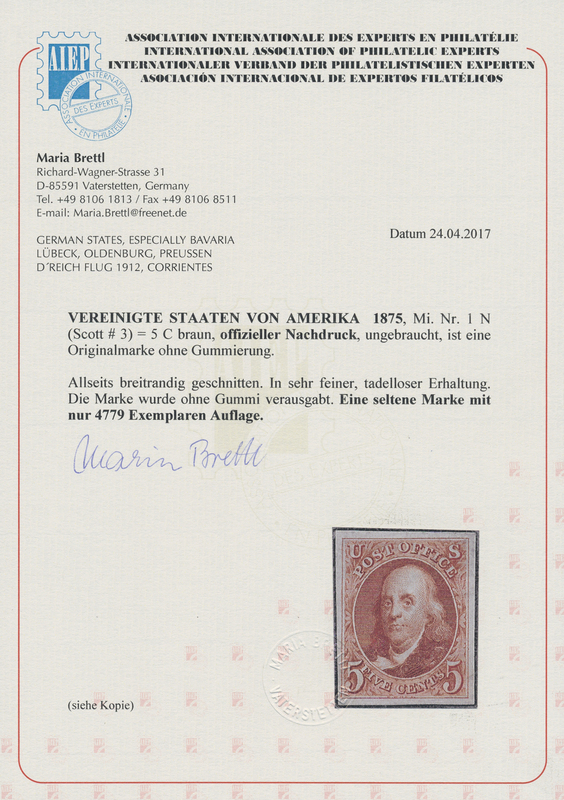 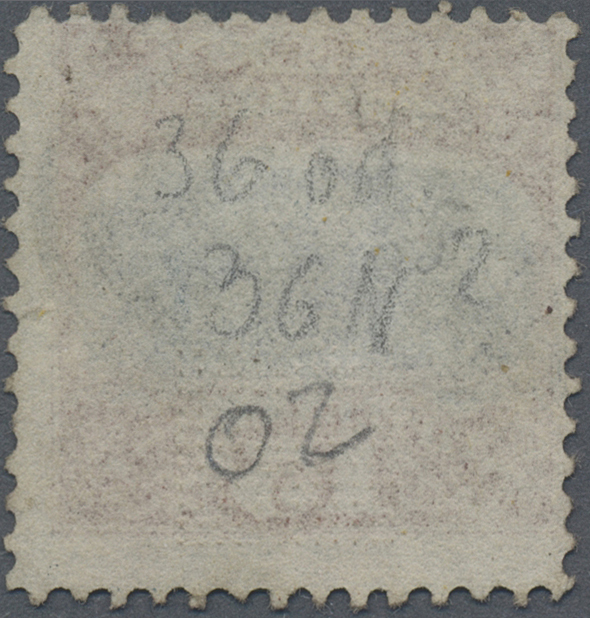 73 Var. 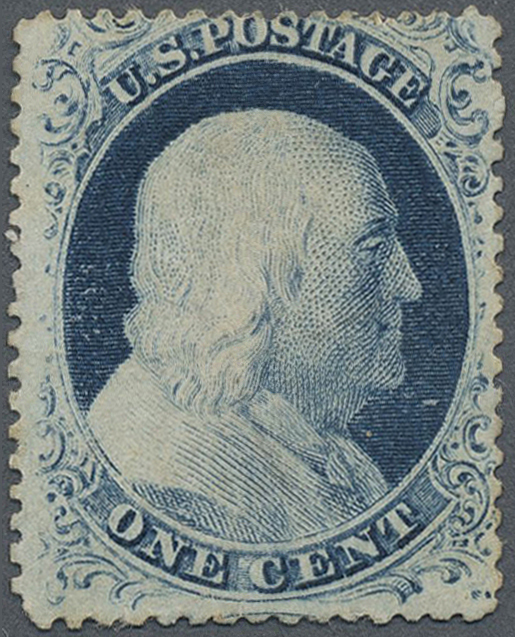 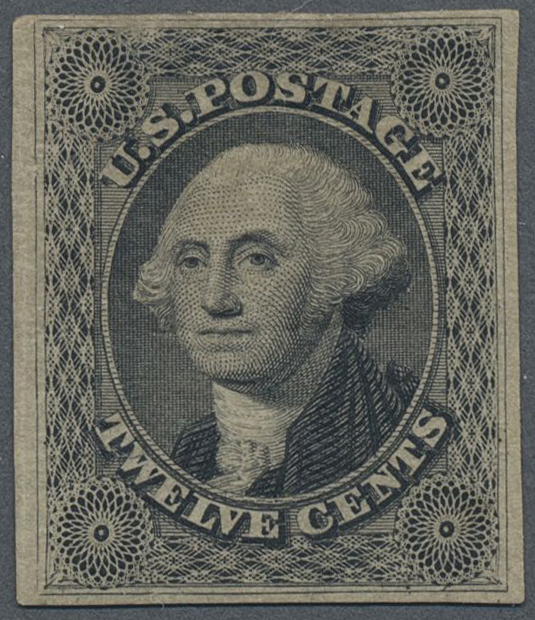 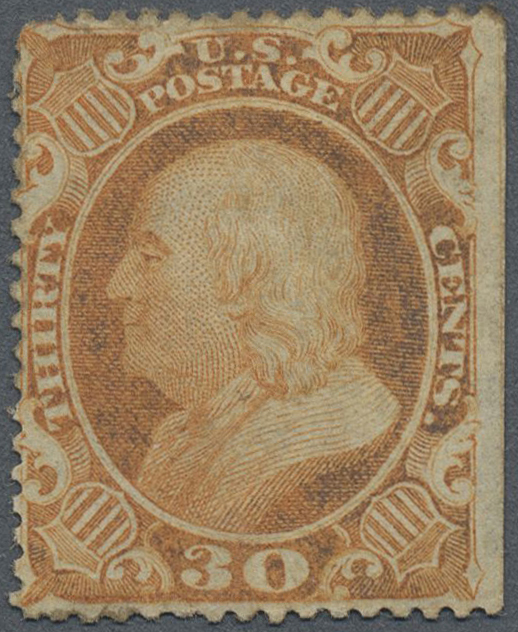 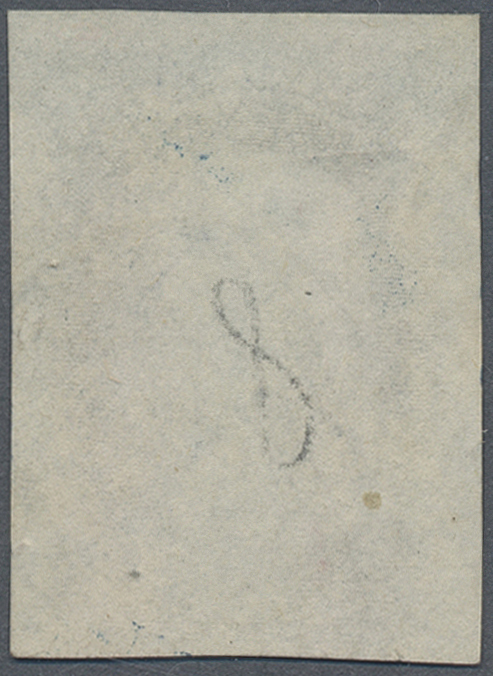 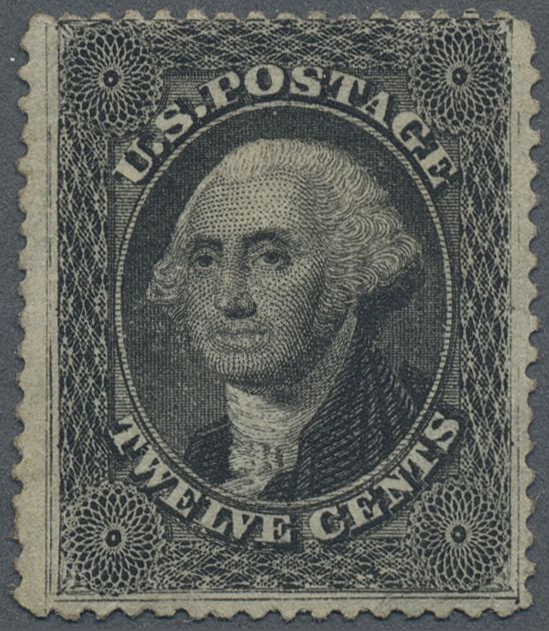 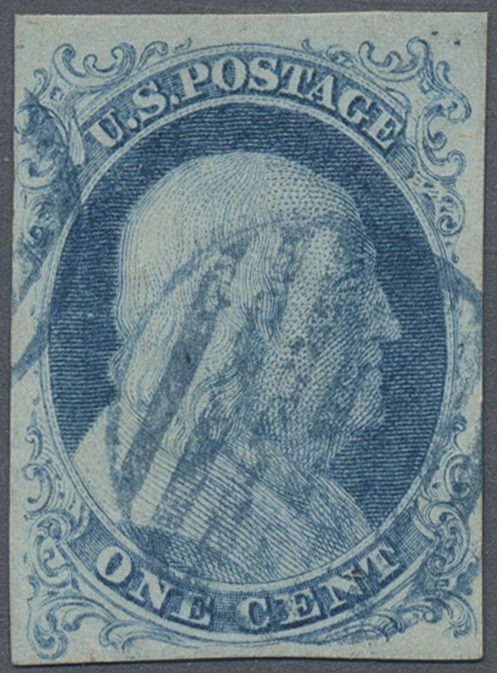 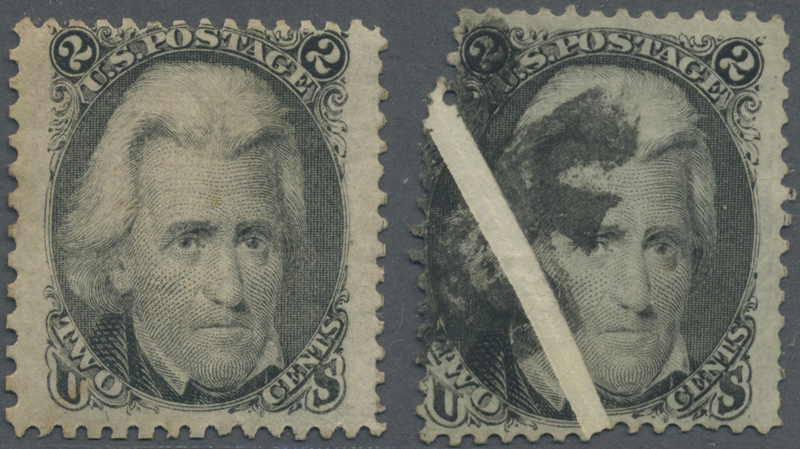 (Mi.17W, 1863/1867, Jackson 2c. 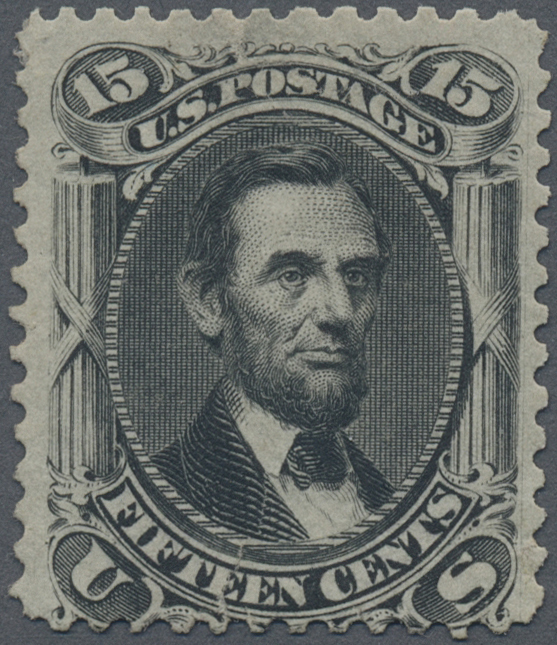 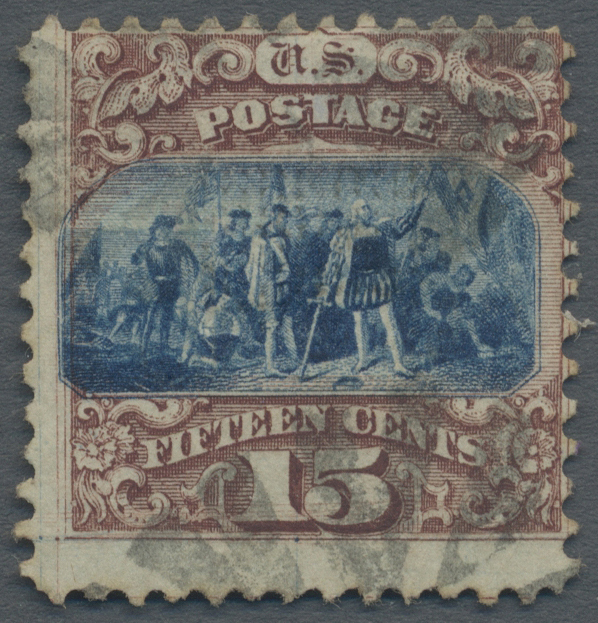 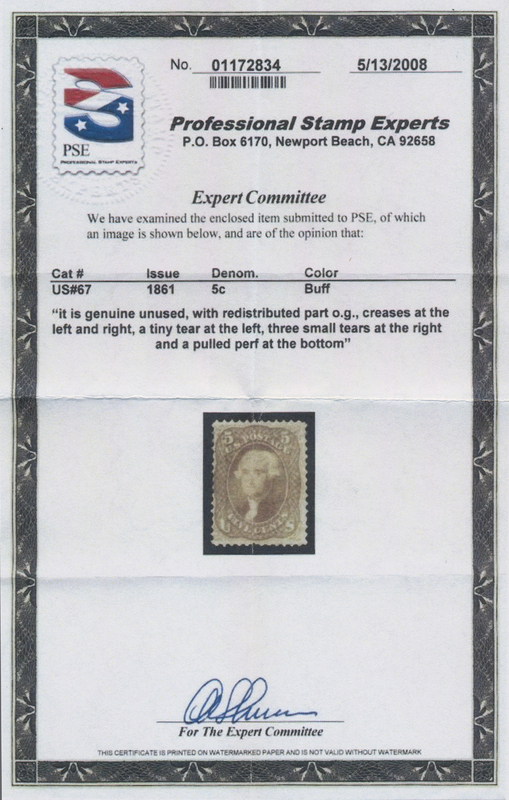 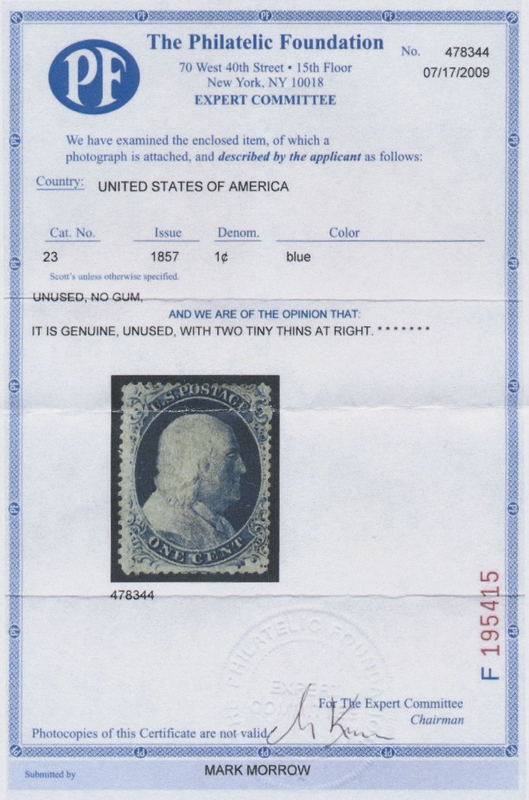 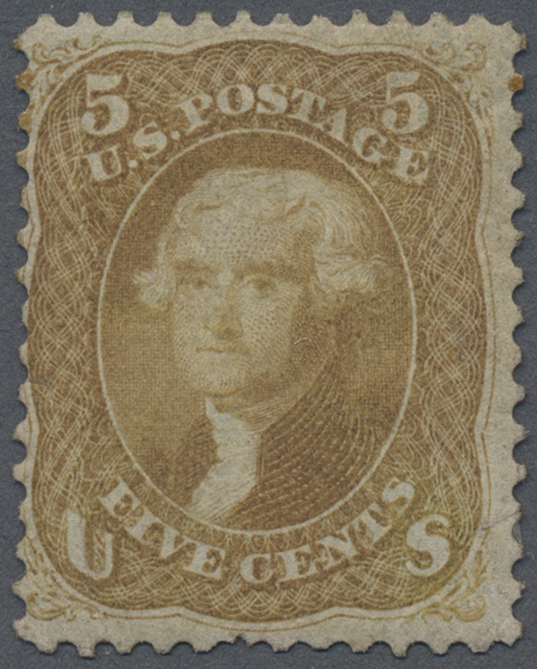 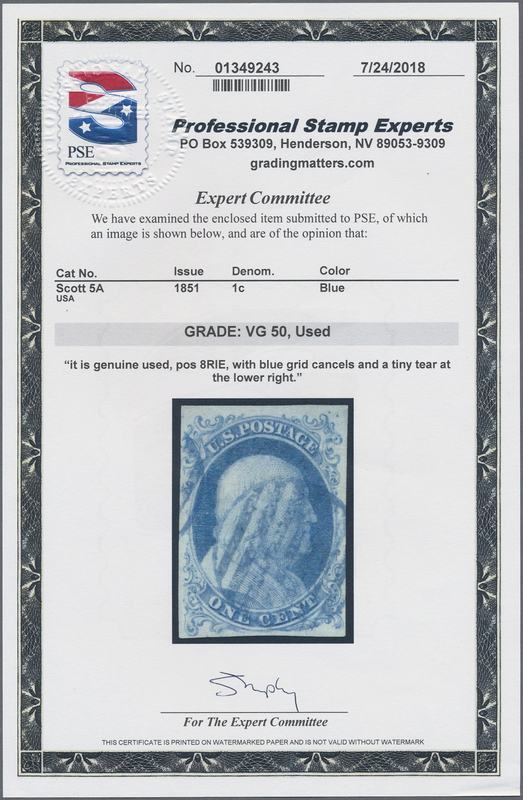 black, mint copy with grill and original gum (slight impefections) and used copy with strong distinctive paper fold. 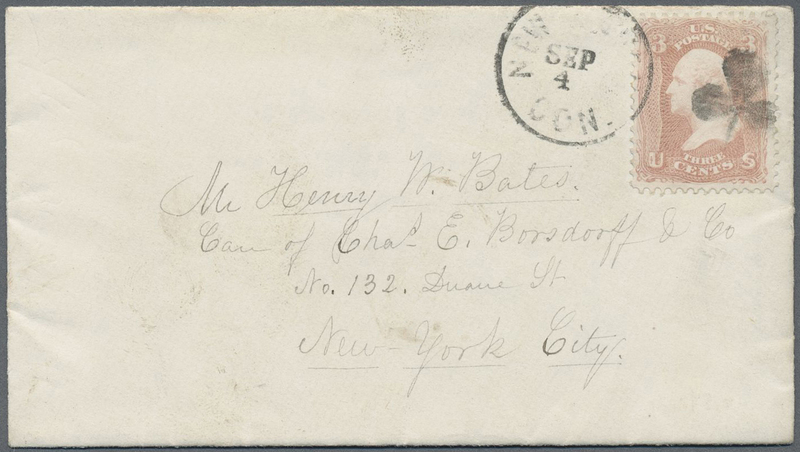 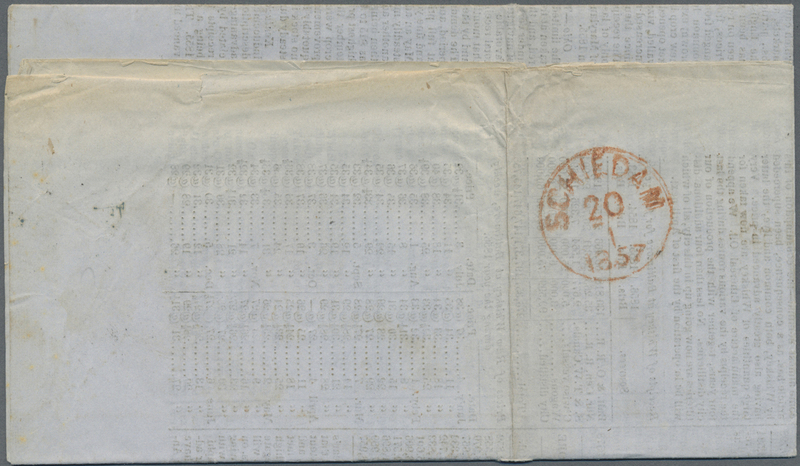 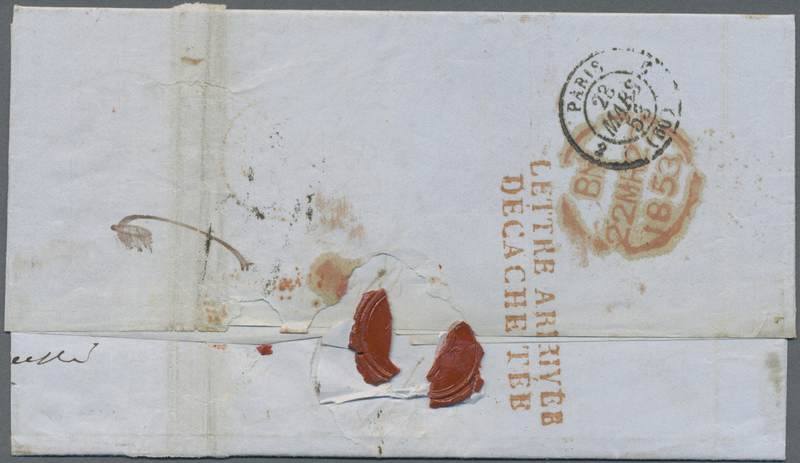 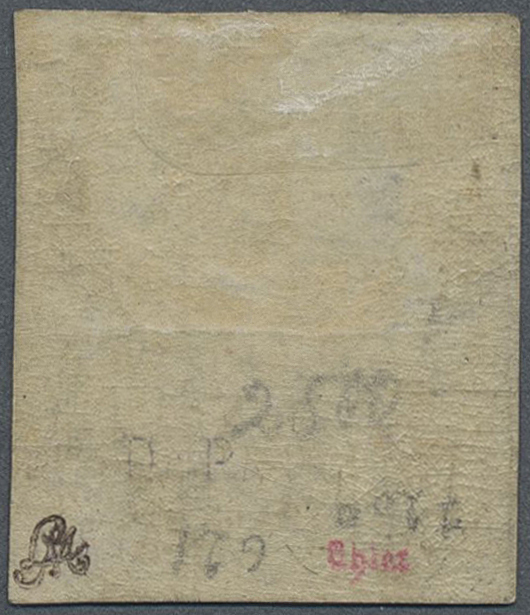 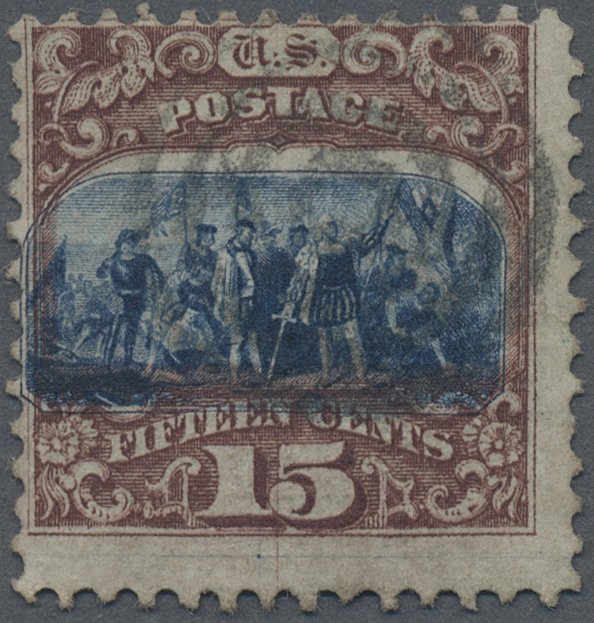 13026 Brief (cover) 1861. 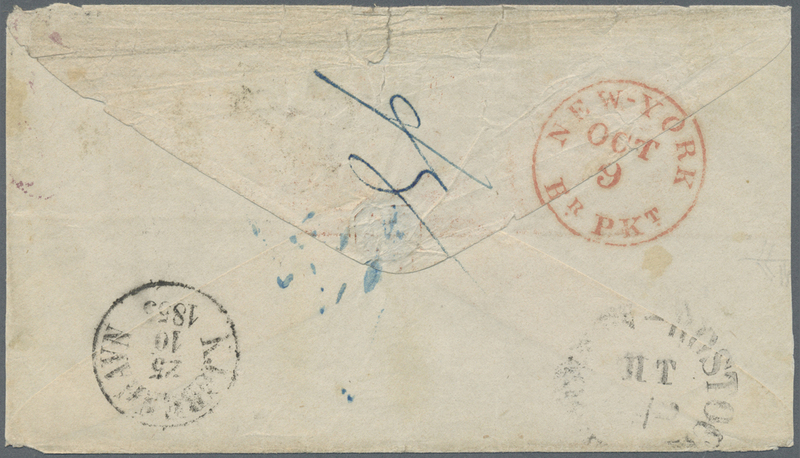 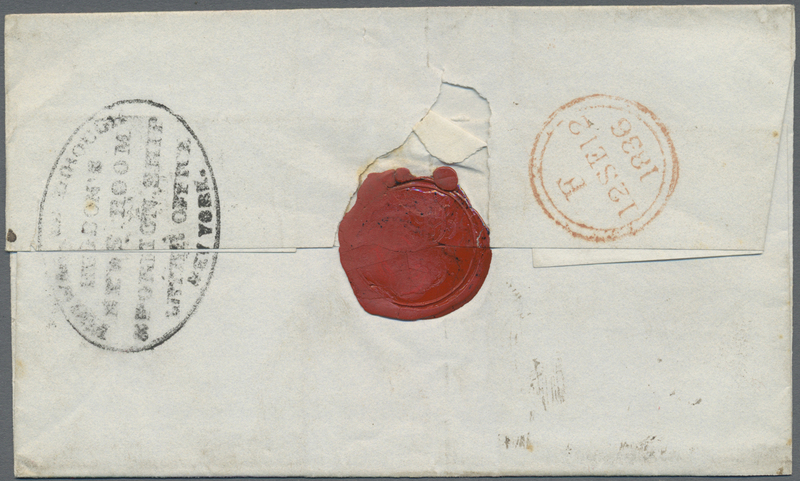 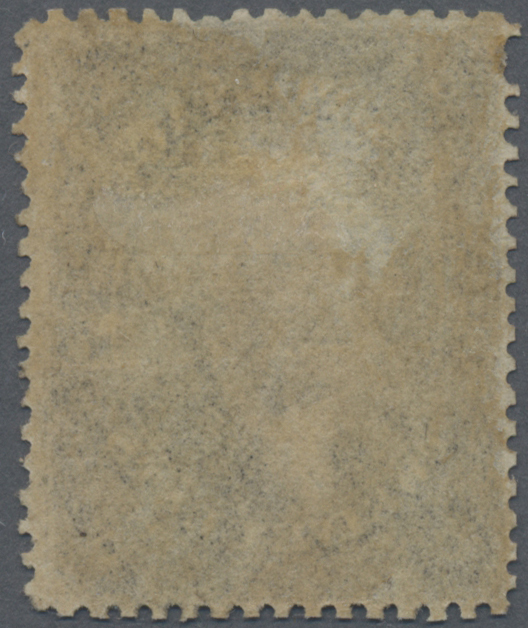 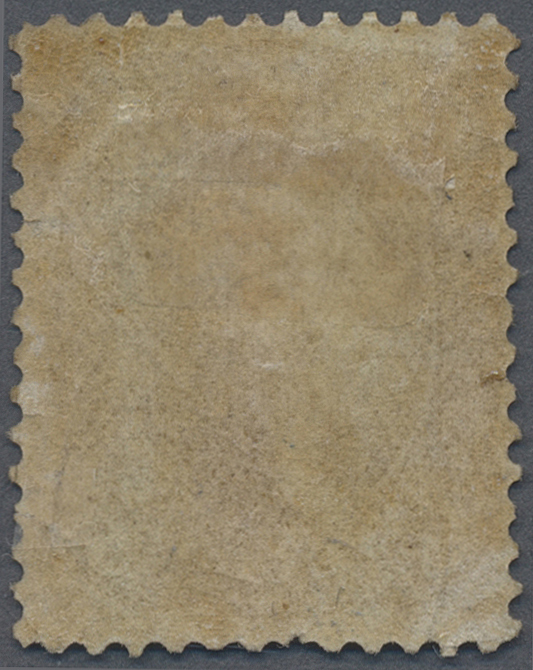 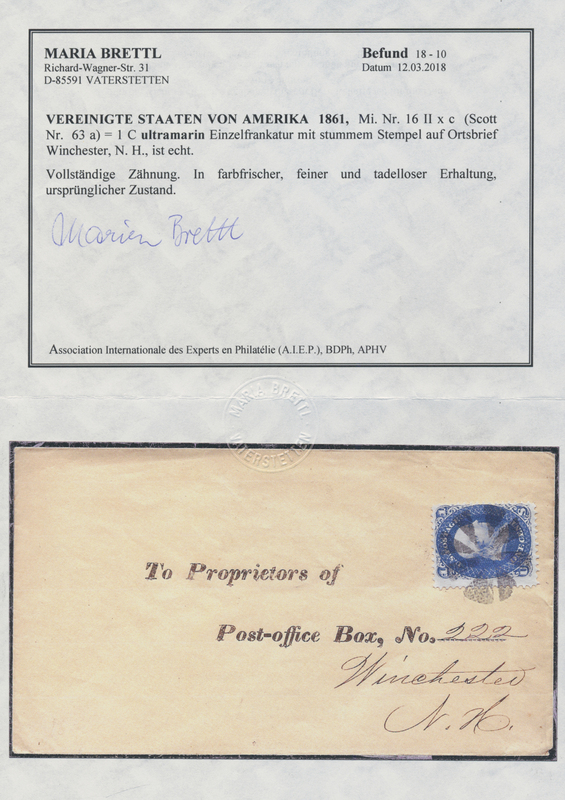 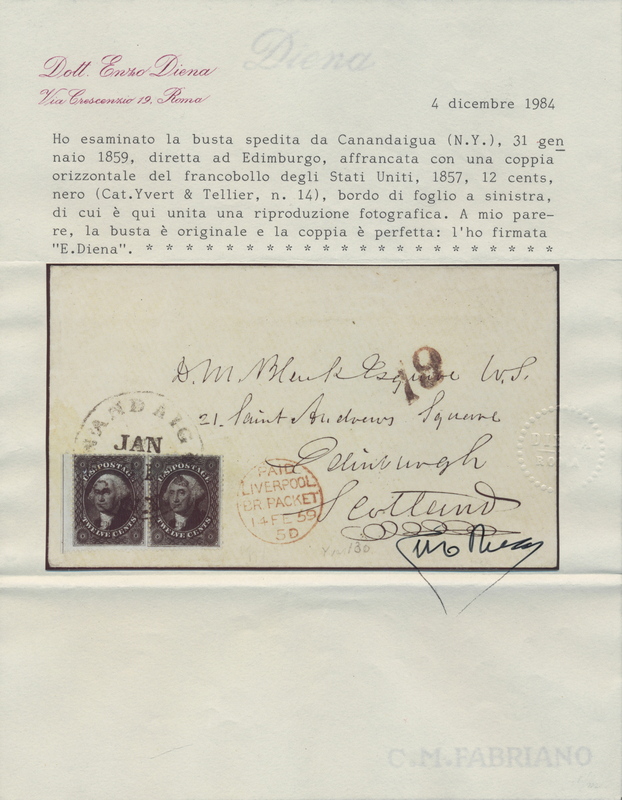 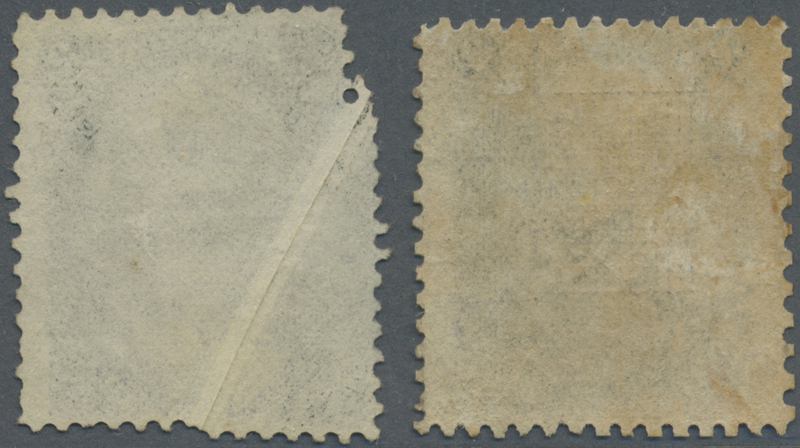 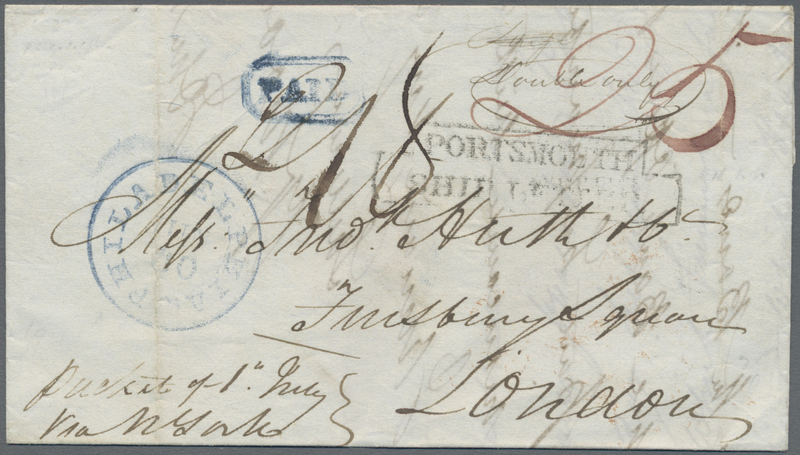 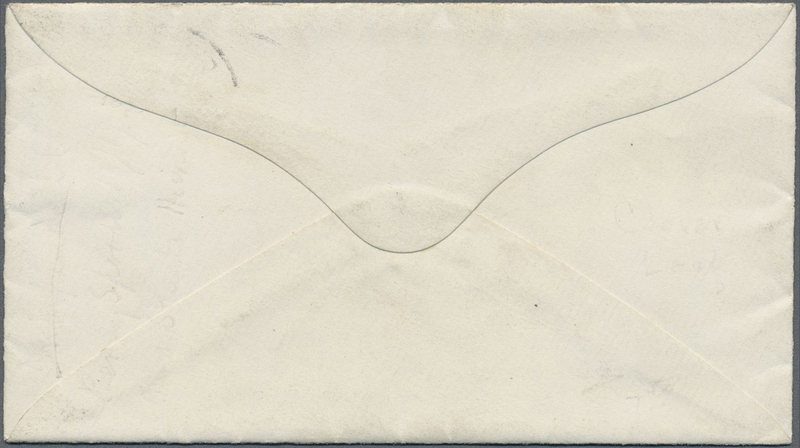 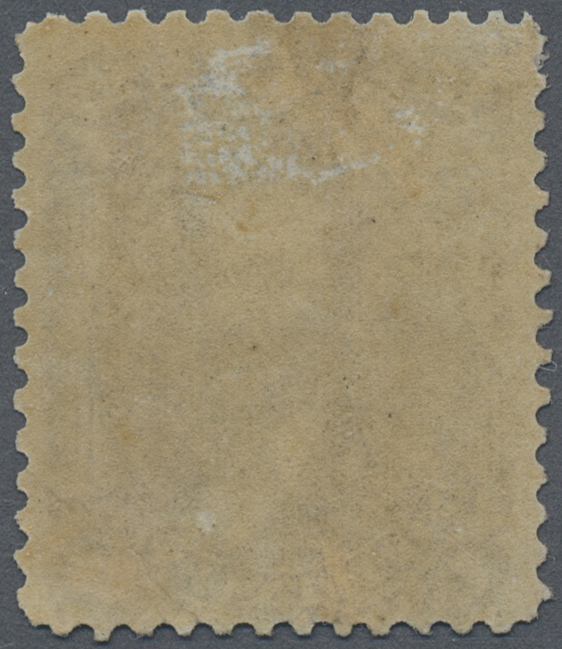 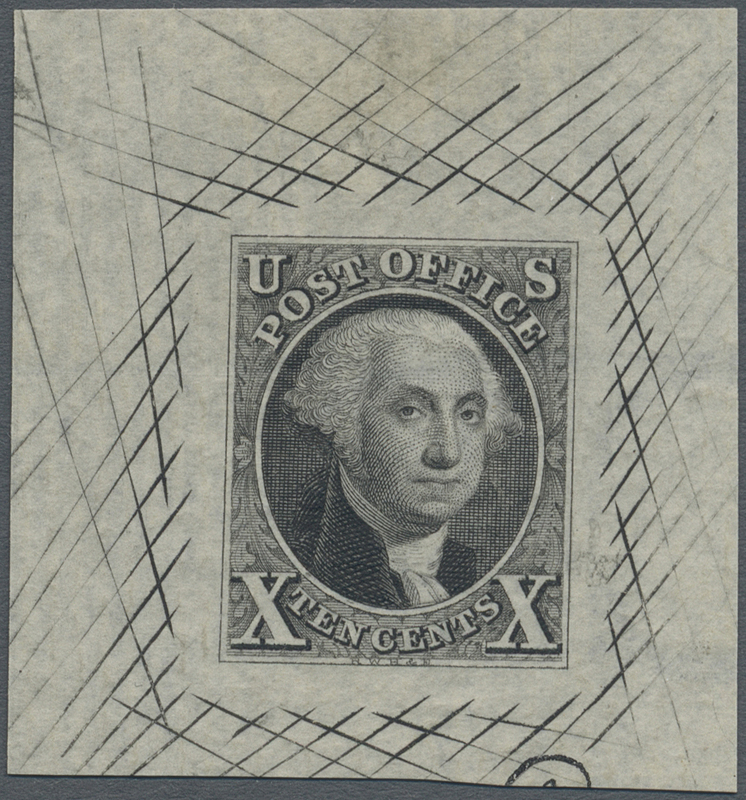 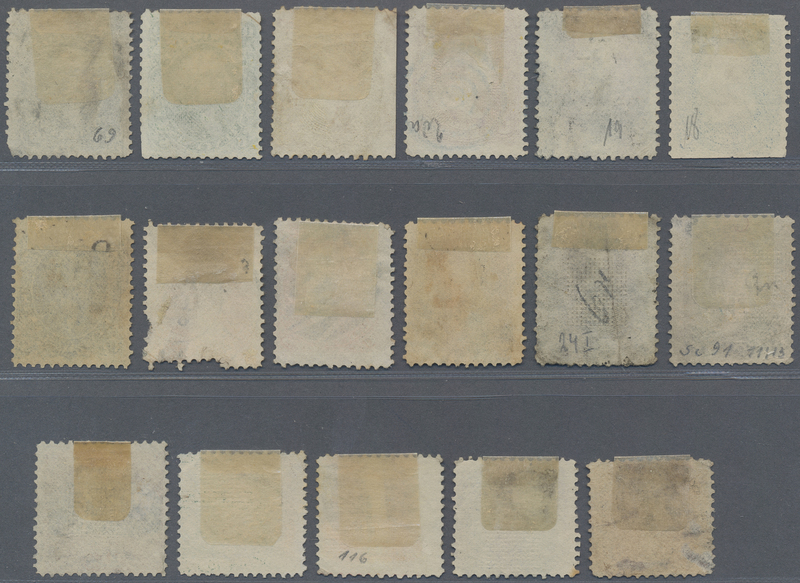 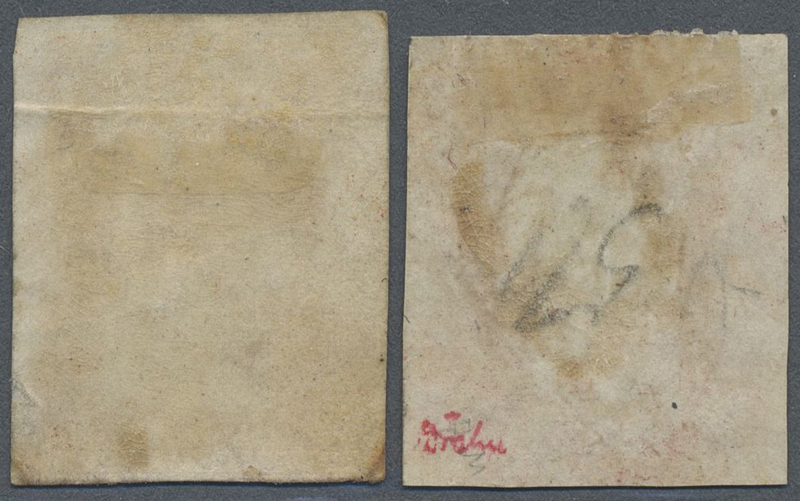 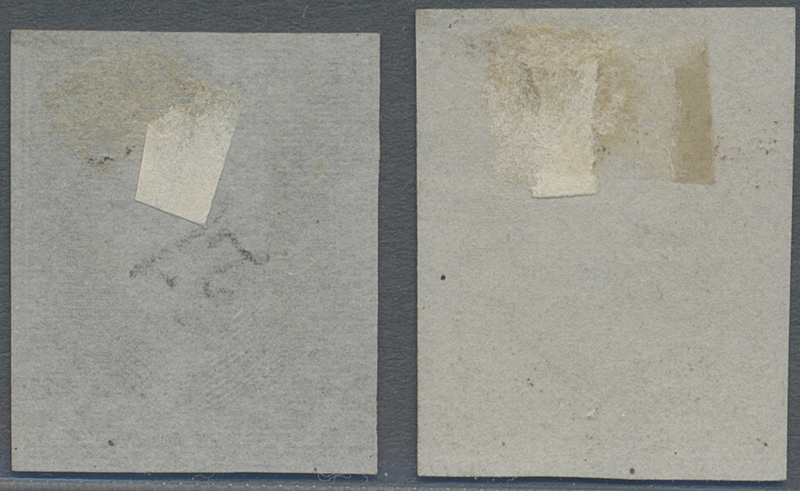 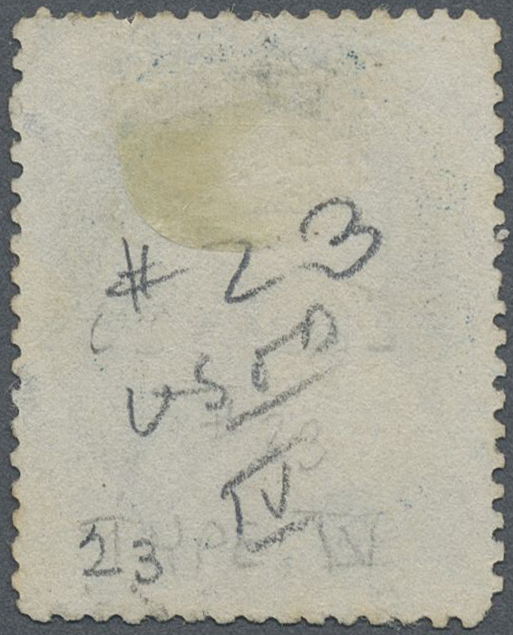 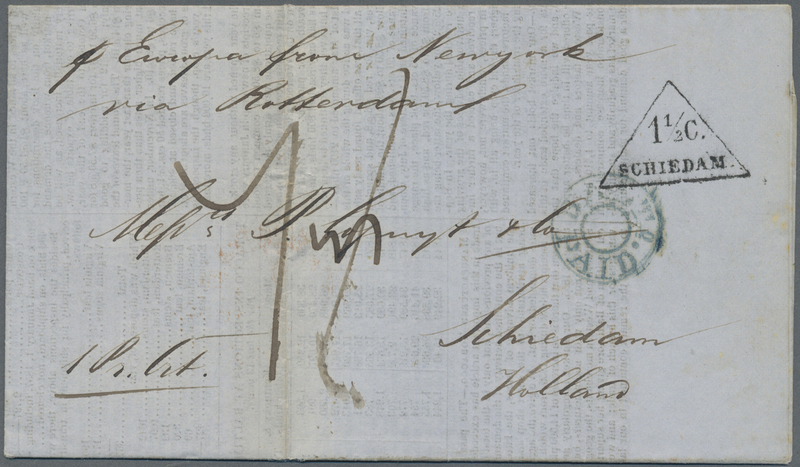 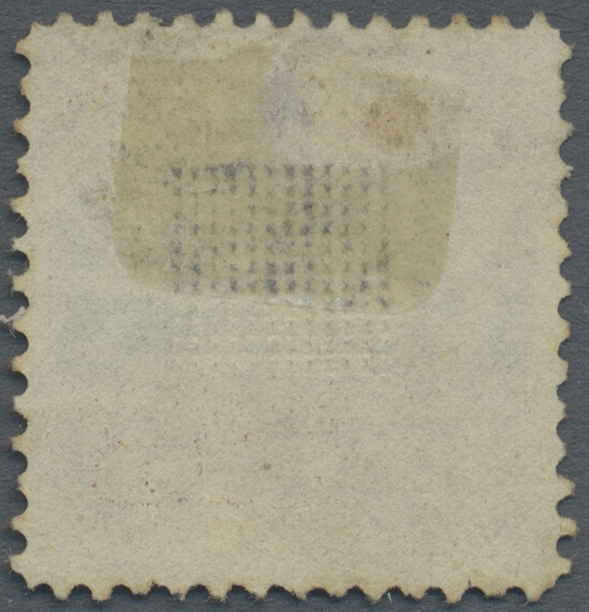 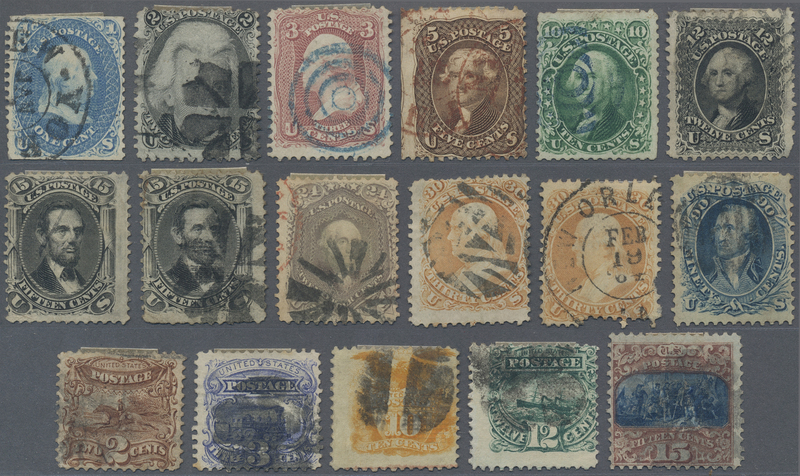 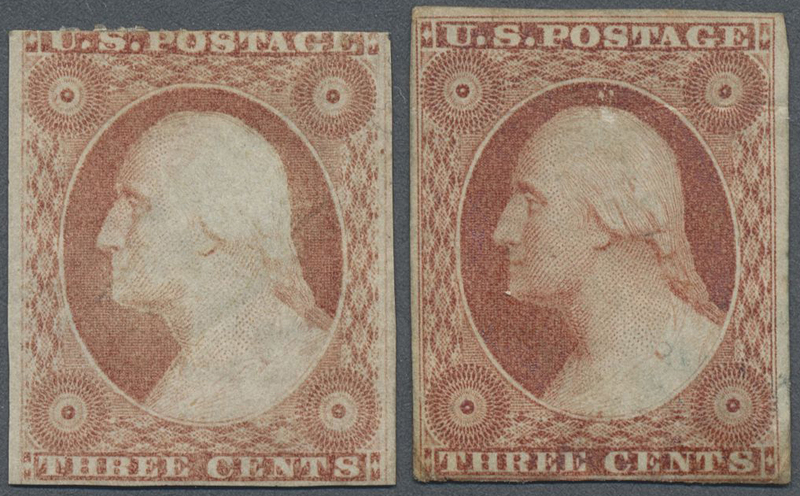 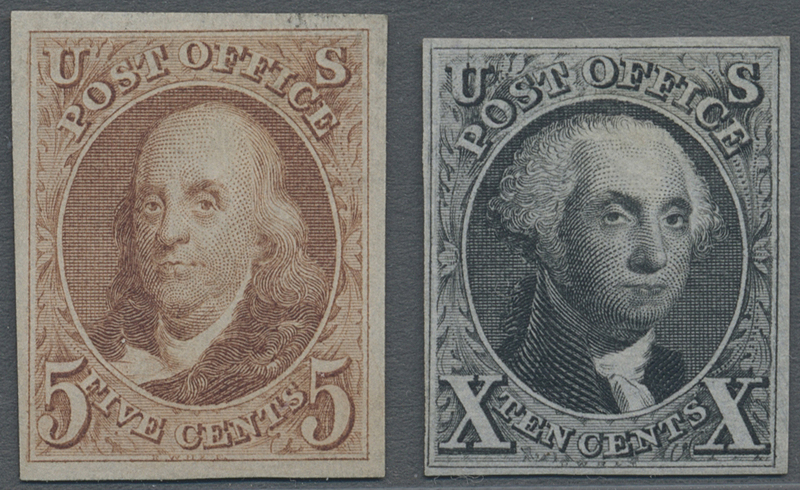 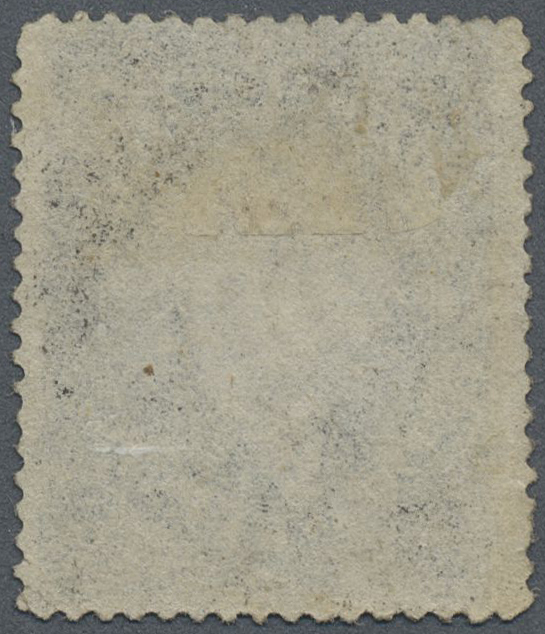 Envelope (minor opening faults) addressed to England bearing SG 41, 24c grey tied by hand-struck 'Paid/3' with adjacent 'Batavia/Ills' date stamp 'Jan 15', routed via Chicago with 'Chicago, A.M. Pkt./3 Paid' in red on face and Great Yarmouth/Norfolk arrival on reverse. 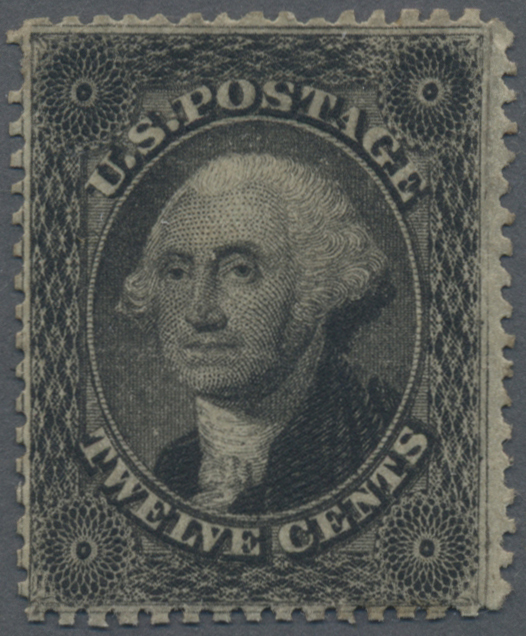 Very attractive item.